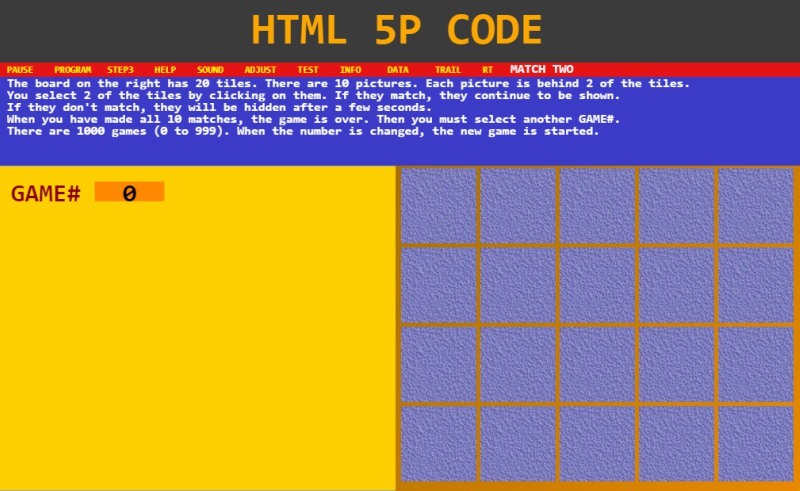 HTML5 P-Code is a puzzle game created using the p-code engine. The game’s objective is to move the pieces on one side to form an image. The jagged side of each piece was created using random numbers. Then, you can tweak the image on HTML5 to create patterns. The advantage of creating games using the p-code engine is that you can edit and execute the programs in one location. P-code also has a data feature wherein you can see how the data is executed. Furthermore, there’s trail feature that allows step-by-step execution of your code. You can learn more about the p-code engine here.